The route begins in the historic town of Begur. 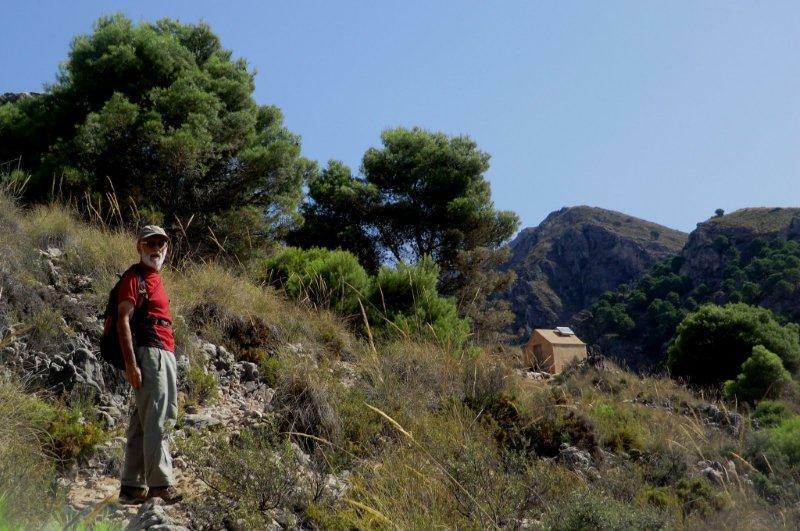 You will walk along the coast to the beautiful coastal village of Tamariu and then southwards along the famous “Camino de Ronda”, an incredible trail offering you some fantastic rugged coastal scenery. 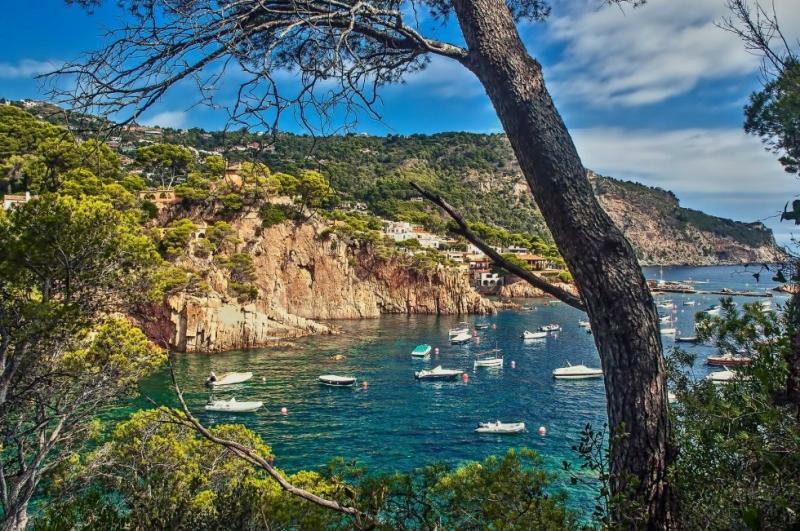 You will visit some beautiful fishing villages along the way, such as Llafranc and Calella de Palafrugell, which still preserve their original charm. You will finish your adventure at the lovely Sant Pol beach, in brief you will experience an adventure you will never forget! Day 1, Arrival: Arrive at Girona Airport/Centre or Figueres Vilafant Train Station (if travelling from Barcelona) where you will be transferred by one of our guides to your accommodation in Begur. Once there you will have a welcome meeting with our guide to discuss the weeks itinerary. Begur with its numerous colonial-style houses, narrow streets and alleyways of the old town along with the fishermen’s huts that still remain in the coves testifying to a long and intense history in which pirates, sailors, coral gatherers, fishermen and multiple generations of Begur townspeople have populated these lands, which despite all the inevitable transformations, have not lost their roots or identity with the passing of time. Oh an don’t forget to visit the medieval castle overlooking the town offering some spectacular views over this region, a great place to start your Catalan Adventure!! Accommodation: 3* Hotel, Breakfast, Begur. Day 3, Begur to Llafranc: Today you leave Begur behind and head along a stunning coastal trail, you’ll pass the beautiful seaside village of Tamariu with a spectacular sandy beach, then onwards around the La Musclera Headland and the bay of Cala Pedrosa, finally you’ll reach the San Sebastián lighthouse with incredible views out over the Mediterranean and the majestic high Pyrenees, finally after a superb walk you’ll arrive in Llafranc. 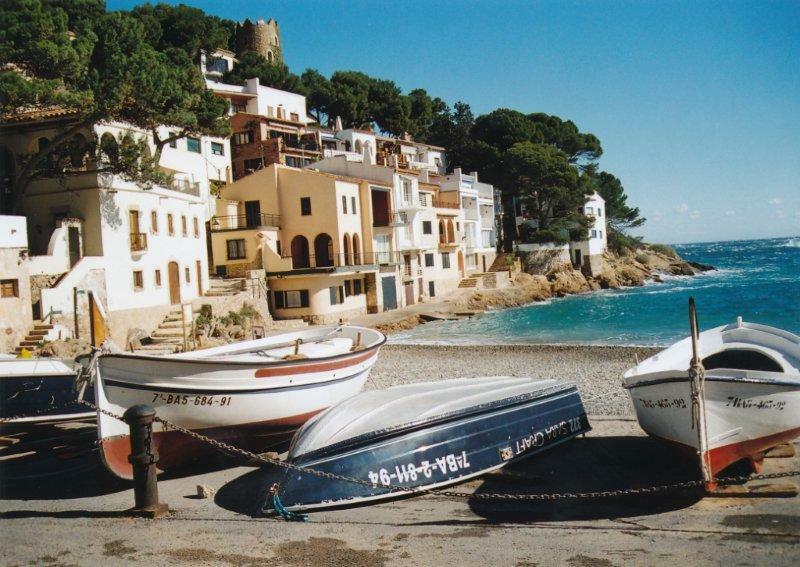 Calella de Palafrugell is spread along a half dozen beautiful sandy coves interspersed with pink-hued rocks. With fishing boats lying on the sands, and cafés and restaurants under the arches of pastel-coloured buildings, it is difficult to think of a prettier Spanish resort and the reason Calella Palafrugell has been voted one of the prettiest Spanish seaside resorts by many publications over the years, quite simply you’ll have to tear yourself away when it’s time to move on, however as most of our customers have said at the end of the tour, you will most likely want to make a plan to return here in the near future. 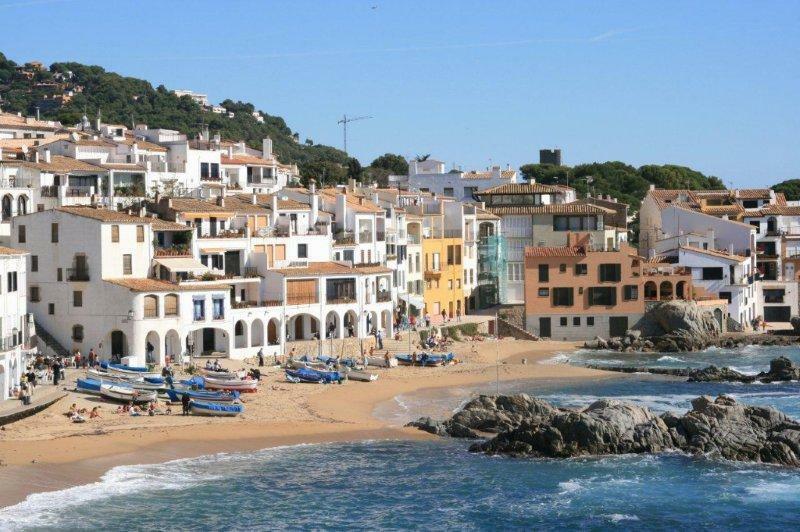 Accommodation: 3* Hotel, Breakfast, Calella de Palafrugell. Day 5, Free day in Calella de Palafrugell : Time to relax in this beautiful sea-side village, perhaps a long lazy lunch and some time on the beach along with some snorkelling maybe be in order or a visit to the botanic gardens at Cap Roig, In 1927, Colonel Woevodsky and Dorothy Webster bought the land of this estate in Cap Roig where they began building a castle and a magnificent park. The works continued until 1974. 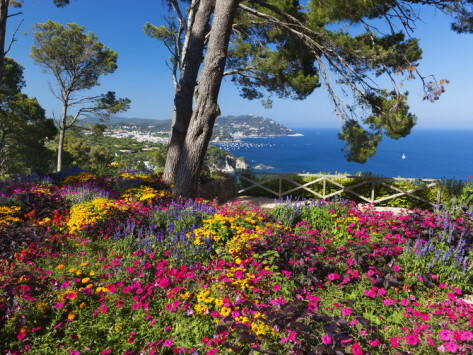 The garden runs down in terraces from the castle to the sea. The first ones (Nuns’ Terraces, El Bassin Terrace, Lovers’ Garden) are connected by the Cypresses Staircase, and have a marked architectural character. From there on, the paths descend gently towards the coast. This area is home to the Spring Garden, Cactus Garden and Geranium Walk with stunning flowering seasons. Day 6, Calella de Palafrugell to La Fosca: Today you’ll reluctantly leave Calella de Palafrugell behind and carry along a very scenic coastal trail with many beautiful secret coves, you’ll then head inland across fields and through hills clad in pine, olive and oak trees, you’ll pass the protected fishing hamlet of S’Alguer and finally arriving at La Fosca. 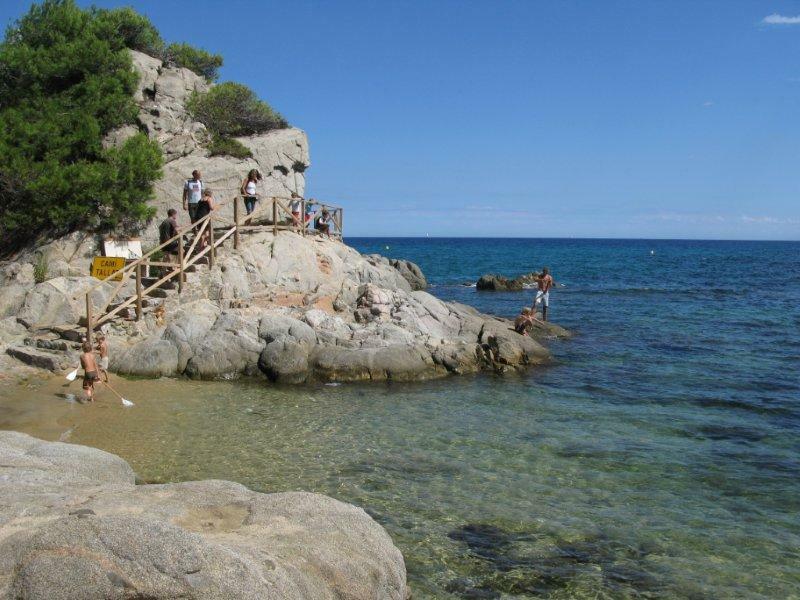 Accommodation: 3* Hotel, Breakfast, Palamós/La Fosca. Day 7, La Fosca to S’Agaró : Leaving La Fosca behind you head towards Palamós, you travel along the promenade at Palamós before picking up the beautiful Cami de Ronda coastal path, this is a lovely scenic route along the coast with the Mediterranean sparkling in the sun on your left and pine clad hills on the your right. You’ll pass the harbour at Playa de Aro and cross the sandy beach at Sa Cuenca Bay and finally onwards to your final destination, S’Agaró. Accommodation: 3* Hotel, Breakfast, Sant Feliu de Guíxols. Day 8, Departure: Today you say goodbye and we’re sure you will have some great memories from your Catalan adventure!